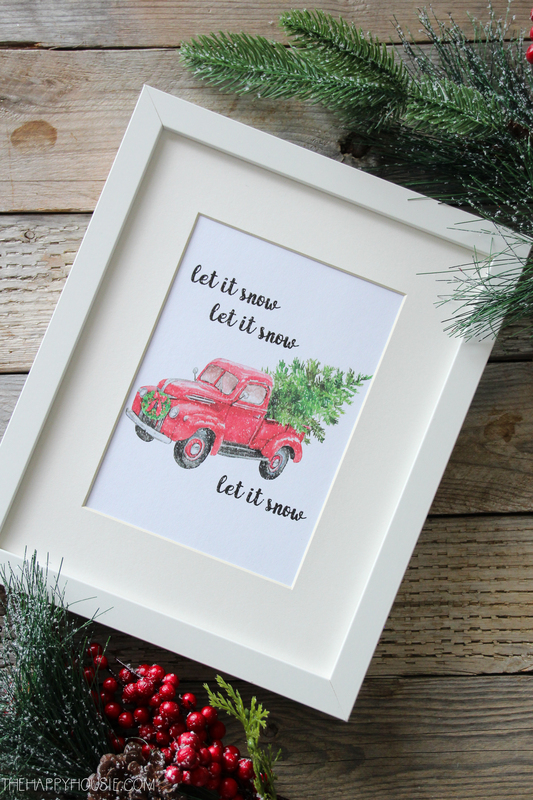 Today I’m sharing some free printable vintage truck Christmas prints. I’m not sure what it is about Christmas that makes me fall in love with all things cute and vintage. Old skis hanging on a wreath, vintage trucks covered in a light frosting of snow, plaid ribbons decking out the tree. There is a certain nostalgia wrapped up in the holiday season and vintage touches add to the cozy, welcoming vision that we all have of this time of year. 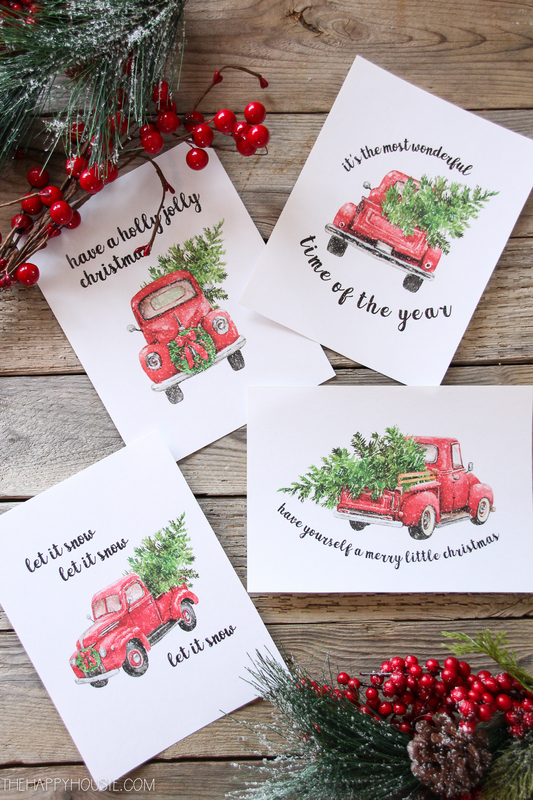 But regardless of the reason, I think that these sweet little vintage truck Christmas printables are the perfect way to bring that touch of nostalgia into your holiday decor this year – and, even better, they are free! Today I’m also thrilled to be joining my super talented blogging friend Kristen from Ella Claire Inspired to be part of an incredible group of pals sharing their amazing free holiday printables! You won’t believe all the amazing ideas – free for you! Make sure to check it out at the bottom of this post. Another thing that I absolutely love at Christmas time? Red! As much as I’m a blue loving girl, those pops of red mixed with crisp white speak to me during this time of year. So I decided a classic red vintage truck was the perfect thing. I hope you love these as much as I do. I made five different designs for you to choose from, and they are all available in 5×7 or 8×10 format. SEE YOUR INBOX AFTER SUBSCRIBING FOR THE DETAILS OF HOW TO DOWNLOAD THESE FROM MY SUBSCRIBER-ONLY PRINTABLE LIBRARY! PLEASE NOTE: You will not be sent the printables directly. You’ll be sent a confirmation email. Once confirmed, you will be sent an email with instructions for accessing the google drive to download. Want to remember this? Just PIN it! 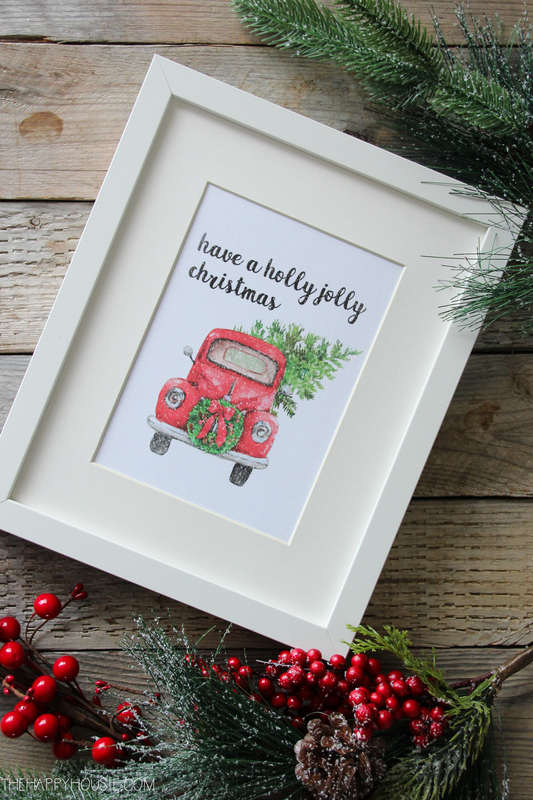 And today I’m so excited to be joining Kristen from Ella Claire for her seasonal printable hop. I know you’ll be blown away by all the loveliness that my friends are sharing! Hello! Love your blog! Trying to access your free printable especially the 5 red trucks and tried numerous times and there isn’t a link. Thank you & have a Merry Christmas! I didn’t recieve my email either. Could you send me the downloads please. Hi there, I don’t see your email on my list – once you confirm your subscription you will be sent an automated email with the instructions for download. Thanks, happy holidays! 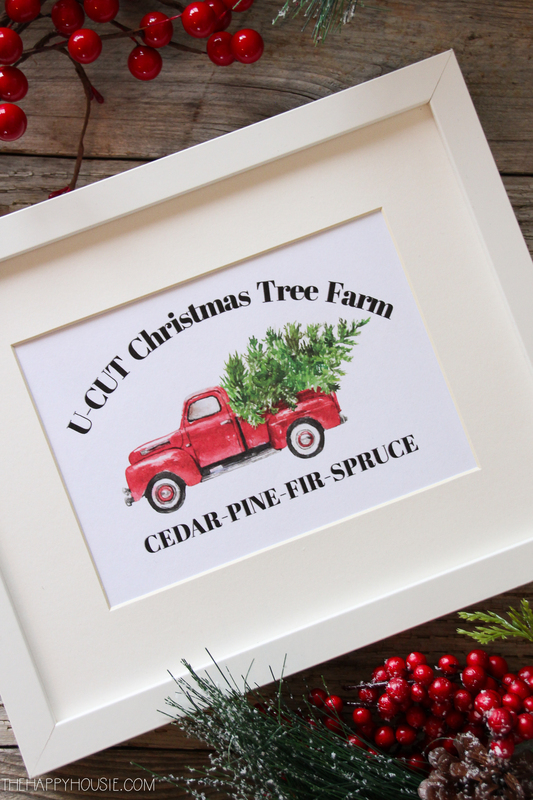 I received the confirming email to download the Christmas printable but there is no link to download them. When I use the password, the page to sign-up is reloaded (I’ve tried at least 4 times). Please advise. I’ve sent you the details by email in case the automated instruction email was redirected to your junk mail. Put email in and didn’t receive email. Hi Meggan, I checked and it seems that for some reason your email address was suppressed? Perhaps you didn’t confirm? Let me know if you need help to access the printables. These are so fun!! I see that they are printable as 5X7 and 8X10. What size frames did you use for those pictured here on the blog. If I print the 5X7 pdf, will the entire picture show in a 5X7 frame? What size frame do you use that has the matt? Do you have an affiliate link to the frames you used, or could you tell us where you got yours? Thank you!! Hi there. I have subscribed, could you please e-mail me with further instructions? Thanks so much. 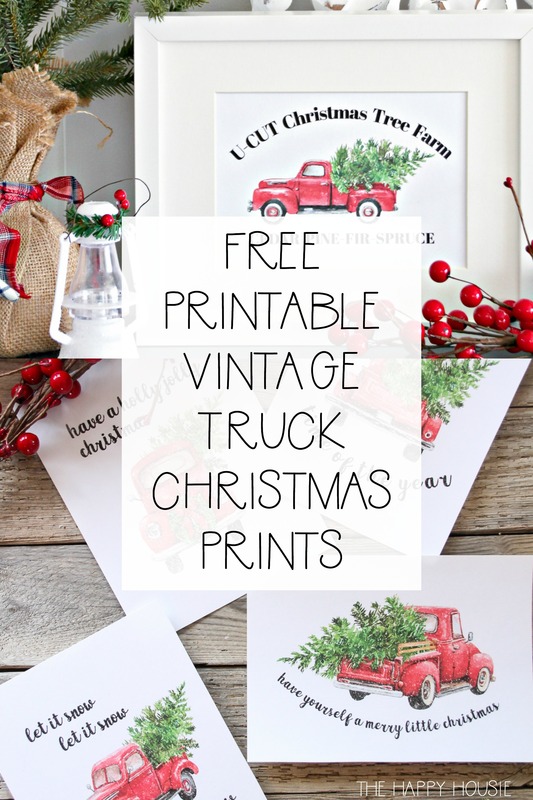 I also confirmed the e-mail and could not find where to put in the passcode to download the vintage red truck prints. please help !! I gave email and put in the code but no how to download. Could you please email me atjasonleanna@me.com. This was for the Holiday red vintage trucks. Ok I guess I am in the same boat….got the email and the link but no pictures to download.. Hope I can get them. i just signed up with my email as well, and it sent me to a blank page. are you able to email me the link as well? thanks so much. I am so disappointed I gave my email to get the free printable and never saw how to download them. The site is difficult and I wish it was straight forward and easy to use. Could you email them to me. Thank you for your generosity – in sharing your printables with us! Hi Bev! I’m Canadian as well – so I don’t have to worry about that holiday coming up, thankfully. Once we get settled in our new house, it can be all about the Christmas decorating! 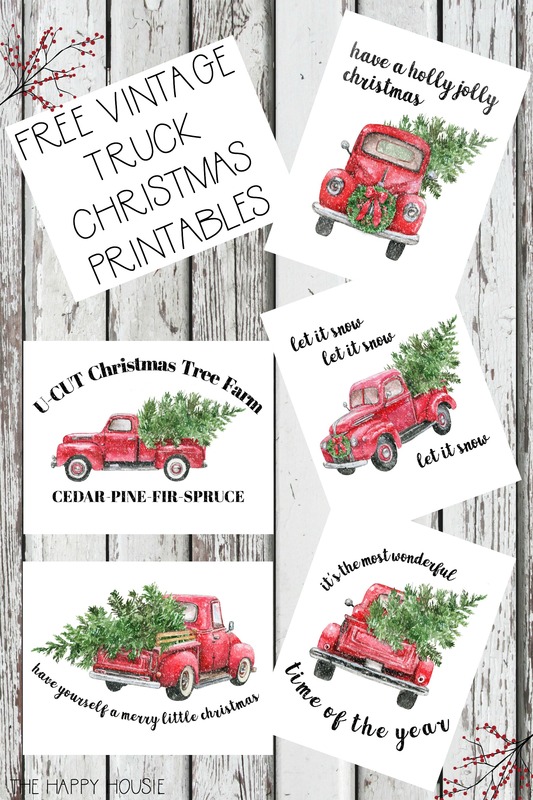 I don’t see these red truck printables in your list of free printables, am I missing something? 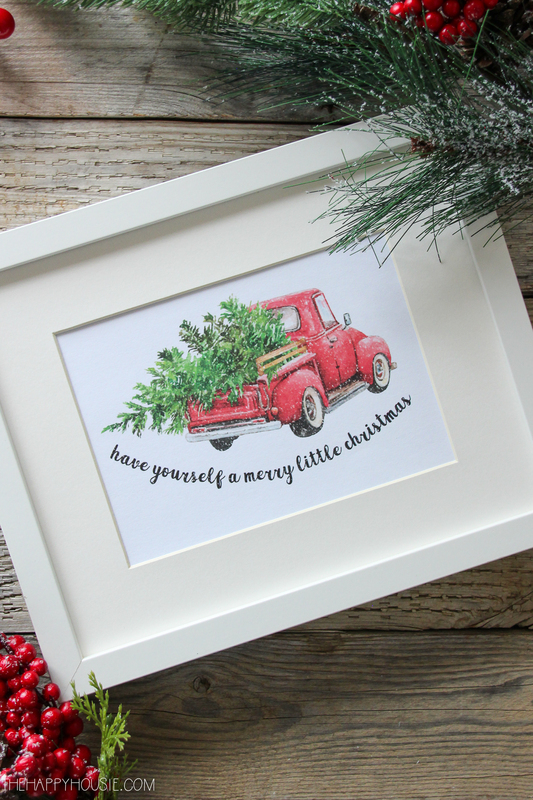 It’s under “Christmas Vintage Truck Printables”. Hope that helps! ADORE these!! So so darling!! I love these, Krista! The snow against the red truck is so classic! 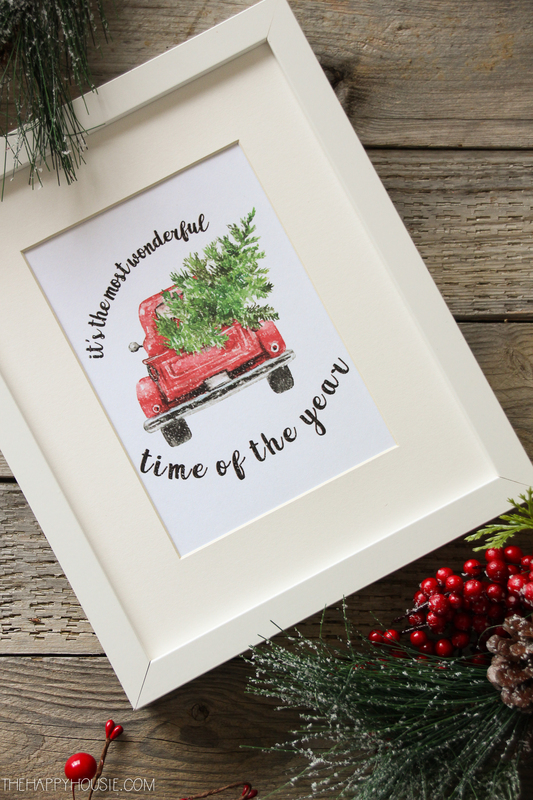 I love these printables, thank you so much for sharing with us! These are so adorable, Krista! 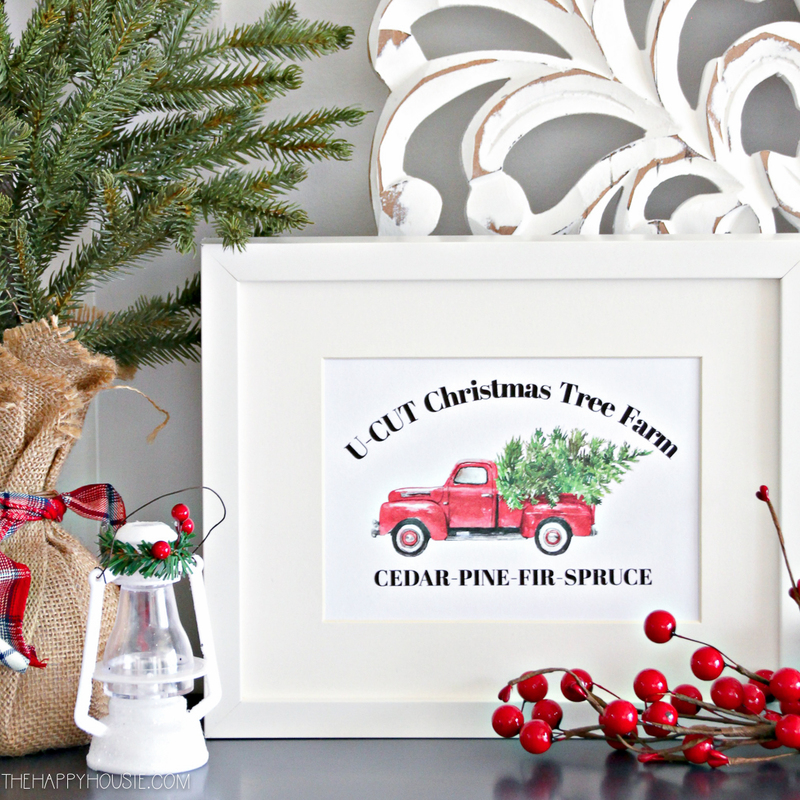 Love vintage red trucks filled with Christmas trees.